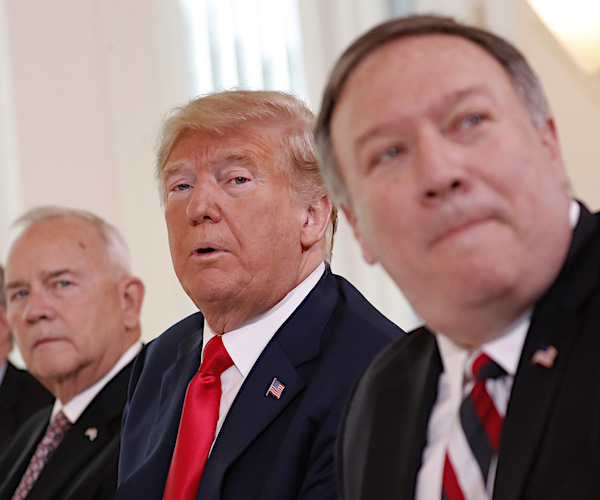 Secretary of State Mike Pompeo said in a new interview it is “possible” God sent President Donald Trump to save the Jewish people from Iran. “As a Christian, I certainly believe that’s possible,” Pompeo told the Christian Broadcasting Network from Jerusalem when asked if Trump compares to the modern-day Esther, a figure in the Bible who helped save the Jewish people. “I am confident that the Lord is at work here,” he said.